Application flexibility provides the ability to meet your specific workflow needs. Access to actionable reports and detailed infusion information enhances device performance. Ability to deliver at low rates with a flow resolution that is up to 25 times better than any other ambulatory pump on the market. Works synergistically with a PC. Improves outcomes and reduces the risk of programming errors. 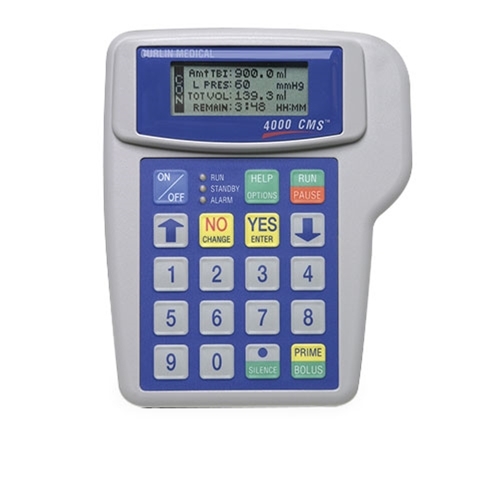 Programming simplicity matched with menu-driven protocols and context-sensitive HELP screens result in an extremely easy to use infusion device. The simplicity of operation, reliable and dependable technology, and low-cost all PVC administration sets effectively reduce ownership costs through training cost savings and reduced purchasing costs.